Did you know that we were made to be fathered by God, that His love and blessing can heal you and your family’s story? When we allow God to father us, it changes the way we live and connect with our families. Many of us have not had a father who knew how to be physically or emotionally present in our life. This leaves a “father wound” affecting every aspect of our lives and can hinder us from being all we can be in our personal relationships. Pastor Ed Tandy McGlasson has helped thousands of families receive the love and blessing of the Father through His son Jesus. 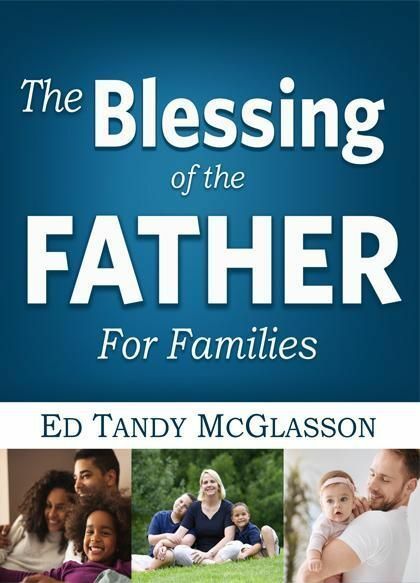 His latest work, The Blessing of the Father for Families Workbook with DVD, shares the life-changing power the Father’s blessing can have in your life and family. Ed and his wife Jill have been married and in ministry for 35 years. They have five beloved children - three of which are newly married - and their first granddaughter: ‘Isla Jeanne’.